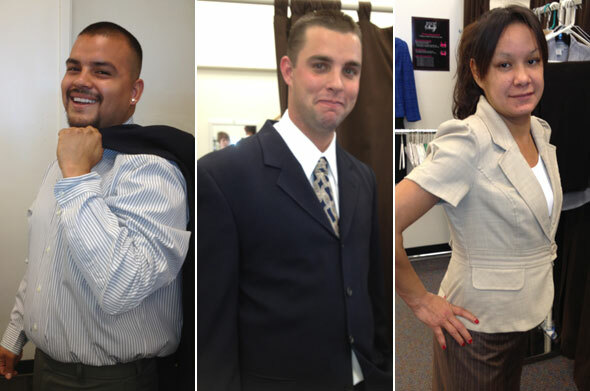 Desert Best Friend's Closet partners and collaborates with other agencies in the Coachella Valley to provide interview-appropriate attire at no cost to individuals seeking employment who do not have the means to buy such attire themselves. All Interview Attire Program clients are referred from partnering referral agencies, both governmental and private. All of our services are provided at no charge to the client. .
All clients receive one-on-one wardrobe and image education services from trained volunteers. At Desert Best Friend's Closet, clients receive focused service in a boutique-like environment that treats everyone with dignity and respect. Desert Best Friend's Closet’s educational component is an integral part of its program. Clients leave not only with suitable clothing but also with the knowledge of how to dress appropriately. This increases our clients’ confidence and enables them to make positive first impressions at job interviews. We operate on an appointment basis only. Walk-ins are not accepted. Provide each client with up to three outfits appropriate for job interviews and workplace situations. 100% of clients will report being treated with dignity and respect.